The funeral Mass for Sister Donna Fischer, SSND, was celebrated Oct. 12 at the School Sisters of Notre Dame Theresa Center chapel in south St. Louis County. Sister Donna died Oct. 10 at Anna House at The Sarah Community in Bridgeton. She was 83 and a longtime educator. Born in St. Louis, she was received into the novitiate of the School Sisters of Notre Dame in 1953 and given the name Sister M. Rose Michelle. She professed first vows in 1954 and final vows in 1960. Following first profession, she was a classroom teacher for 27 years. She taught middle grades in Breese and Belleville, Ill. In 1965, she earned a bachelor’s degree in English and speech from the former Notre Dame College in St. Louis. She was then missioned to Notre Dame High School in Cape Girardeau, Mo., for five years, Helias High School in Jefferson City, Mo., for four years and Rosary High School in St. Louis for seven years. She earned a master’s degree in English from Creighton University in Omaha, Neb., in 1975. Sister Donna eventually began to experience chronic back pain, which necessitated a lighter teaching load and several surgeries. Teaching part-time, she assisted with the high school retreats. After training in spiritual and retreat direction, Sister Donna was a staff member for high school retreats at Pallottine Renewal Center in St. Louis for one year. 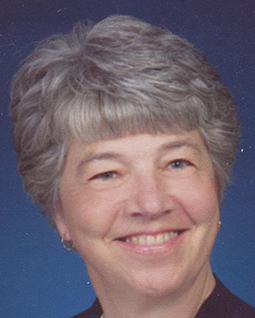 From 1982-86, she was co-director of the Vocation Office for the sisters’ former St. Louis Province. Due to her experience with women’s prayer days, she felt called to work with adults in the area of spirituality on a parish level. She ministered in religious education for adults at St. Mary Magdalen in south St. Louis for five years. She then became a pastoral associate at Sacred Heart in Valley Park. During 16 years there, she coordinated the adult faith formation program, was a member of the RCIA team, was an advocate in the annulment process and taught in the elementary school. Due to hearing loss, she received a cochlear implant and continued her spiritual and retreat direction ministry of bringing healing, peace and reconciliation to others. In September 2018, she moved to Anna House. She is survived by a sister, Clara Weppner of St. Peters; and and a brother, Aloysius Fischer Jr. of Mt. Clemens, Mich. Burial was in Sancta Maria in Ripa cemetery.